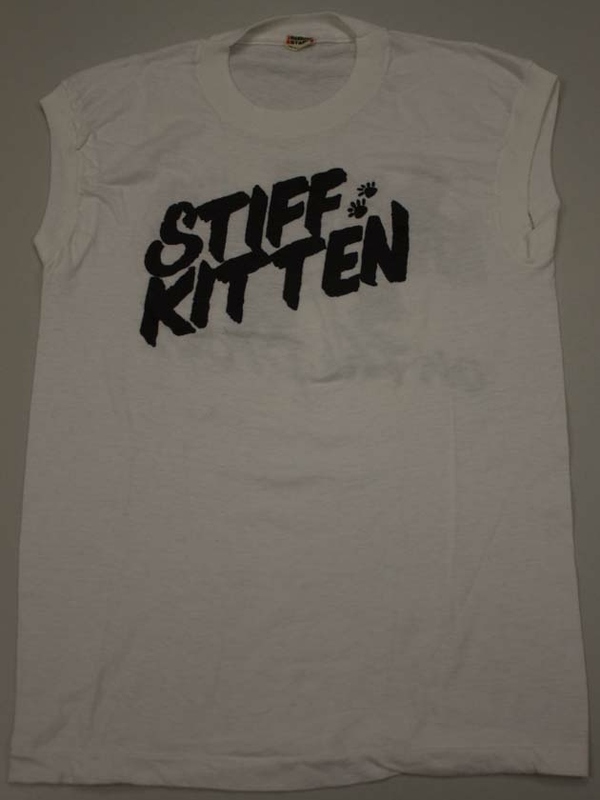 A t-shirt for the band Stiff Kitten. 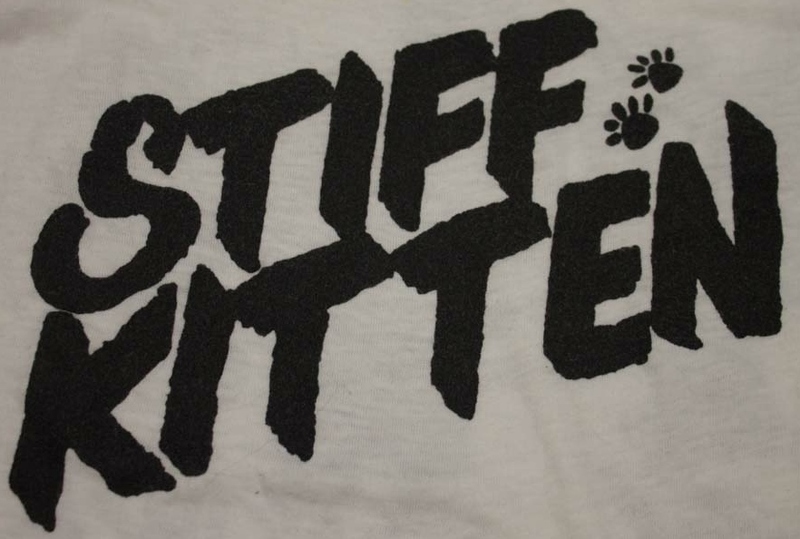 Originally called Bulz Eye, Stiff Kitten was formed in Orlando, Florida, around 1983. 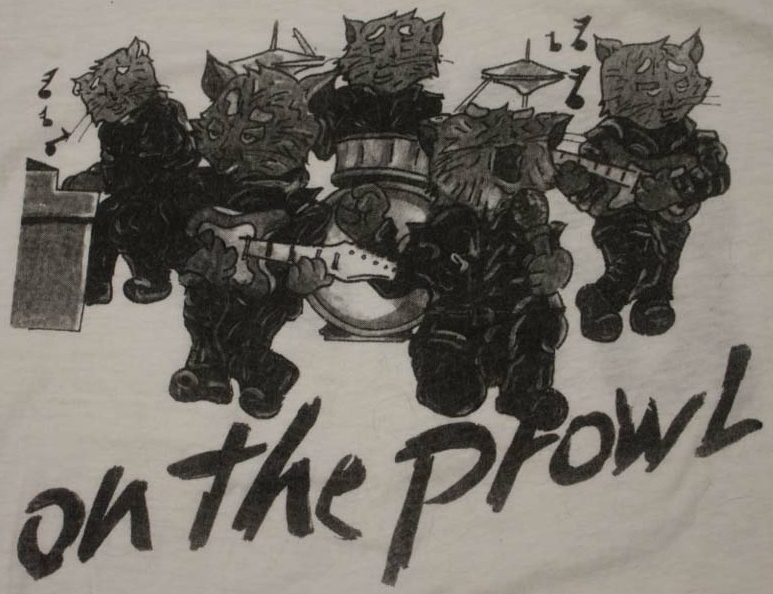 The group consisted of Deryle Hughes on lead vocals, slide guitar, and harmonica; Jamie Baker on bass and vocals; Gary Groves on keyboard and vocals; and Greg Saxonis on drums. Saxonis would be eventually be replaced by Dave Tinney and then Jeff Bonenfant. The band moved to Tampa for a brief time before returning to Orlando, eventually changing their name to Sons of Doctors, which became the name most closely associated with them. 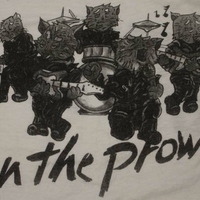 Largely a classic rock cover band during the 1980s and early 1990s, Hughes began composing music by the mid-1990s. Joe Stump joined in 1996 and contributed guitar and vocals. 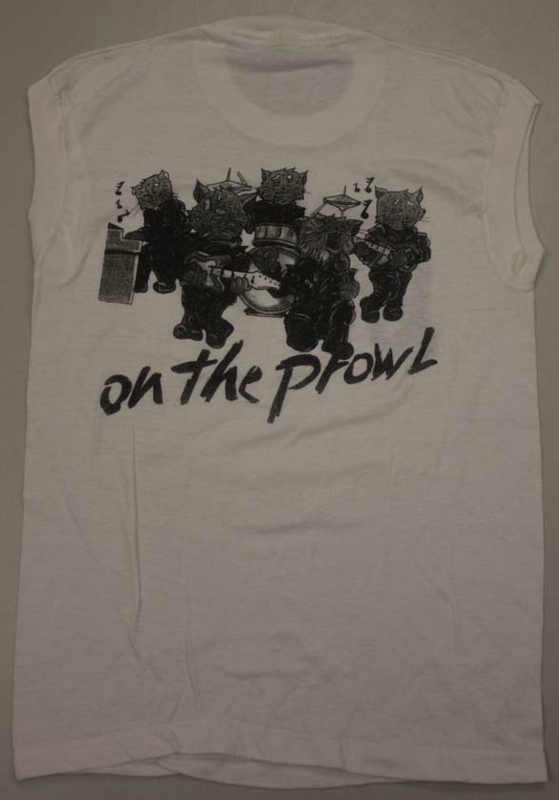 The group regularly performed at Orlando clubs such as Junkyard, Townsend's, Green Parrot, as well as at the Full Moon Saloon in Daytona Beach during bike weeks. They opened up the Daytona 500 on the infield on February 14, 1999. 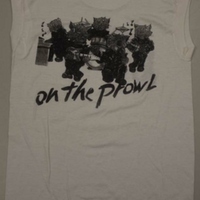 The band signed with Sony Records and recorded several original tracks, but disbanded in 1999. Deryle Hughes formed Simple Southern Boys with keyboardist Doug Bare in Orlando in 2004. He opened a recording studio called Big Shot Studios in Altamonte Springs in June 2006. Copyright to this resource is held by Stiff Kitten and is provided here by RICHES of Central Florida for educational purposes only. Brunot, Luc. "Deryle Hughes: Simple Southern Boys." Sweethomemusic.fr. http://www.sweethomemusic.fr/Interviews/SimpleSouthernBoysUS.php (Accessed October 19, 2015). 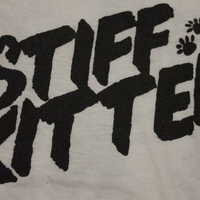 “Stiff Kitten T-Shirt.” RICHES of Central Florida accessed April 20, 2019, https://richesmi.cah.ucf.edu/omeka/items/show/6212.